1995,1996,2000-2003 Assistant Coach Alisal High School Salinas Ca. 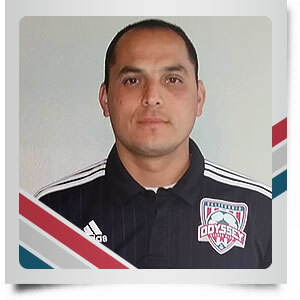 2009-present Head Coach for the Clovis East Varsity Boys Soccer. 1995 Represented the U.S in Mexico to represent soccer. Received an award from the Vice president Mexico. 1997 Full Ride Soccer Scholarship to the University of Southern Connecticut. 1997 New England conference Champions. Lost in the NCAA Semi Finals. 1998 New England Conference Champions. Lost in the NCAA Semi Finals. 2000-2004 Played Professional soccer A-League for the California Jaguars. 2011 Member of the (NCAA) National soccer coaches association of America.